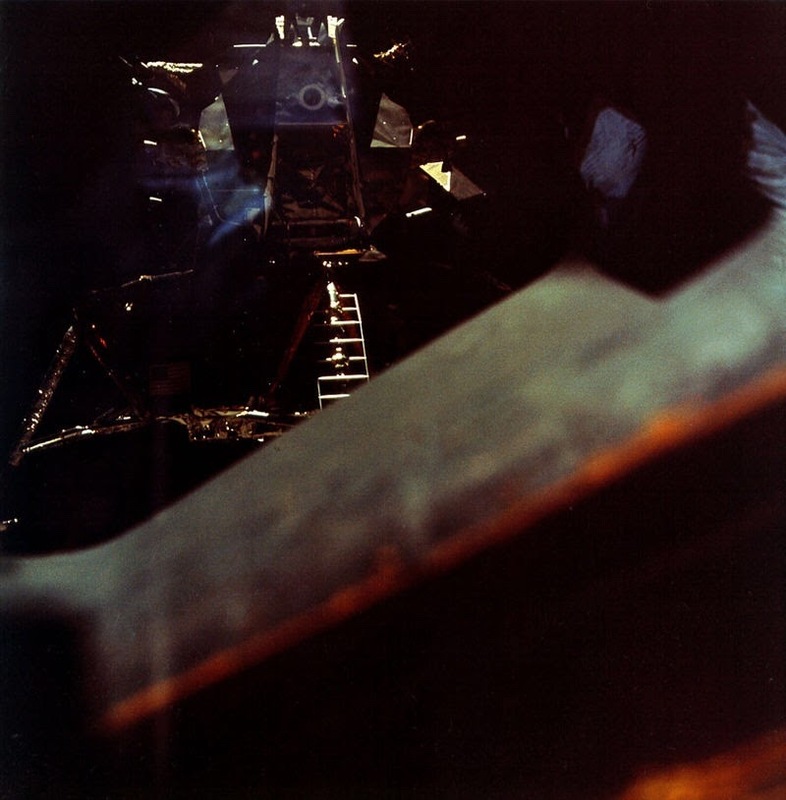 Omega - Apollo 10, the dress rehearsal. 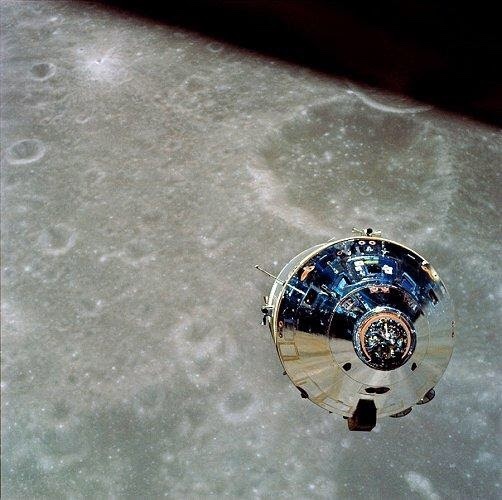 Apollo 10, the dress rehearsal. 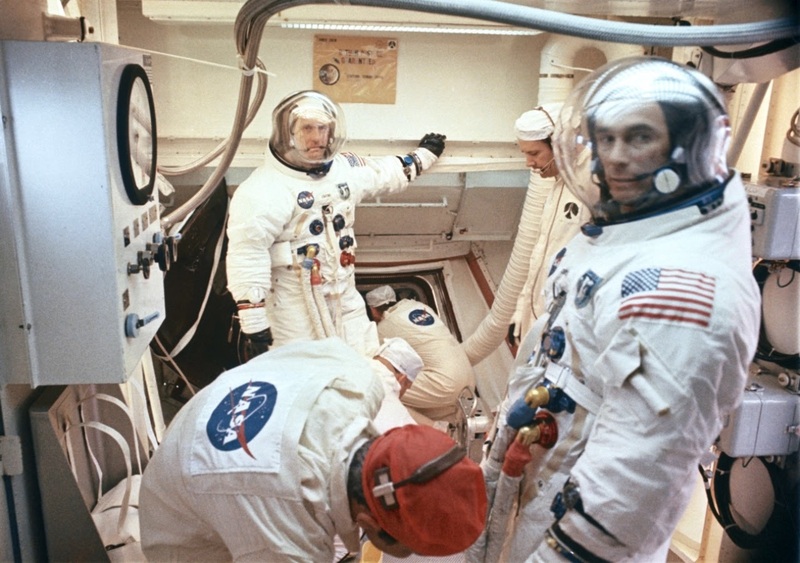 The fourth manned mission took off on the 18th May 1969. 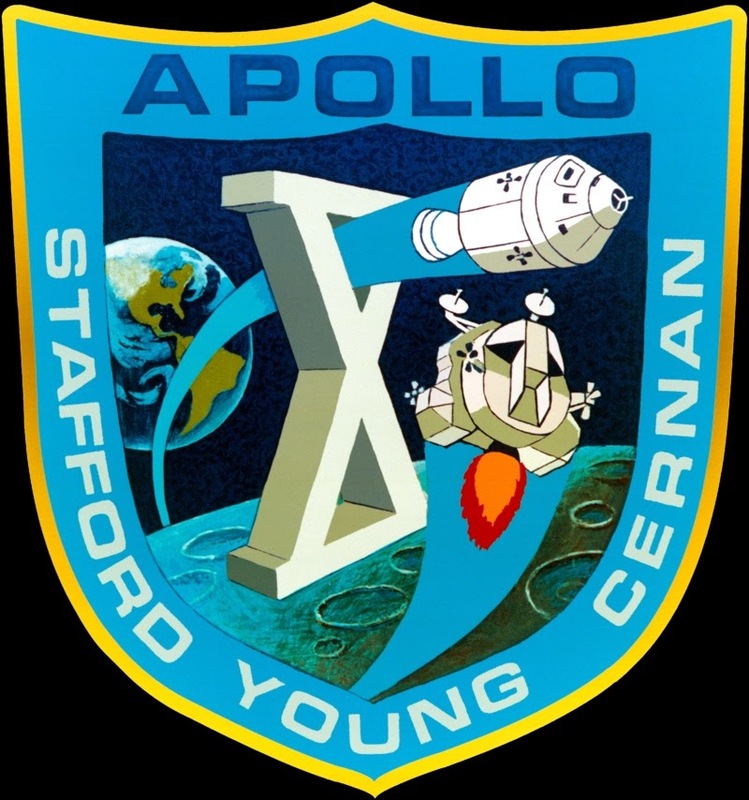 On board were the Astronauts, Commander Thomas Stafford, Pilots John Young and Eugene Cernan . 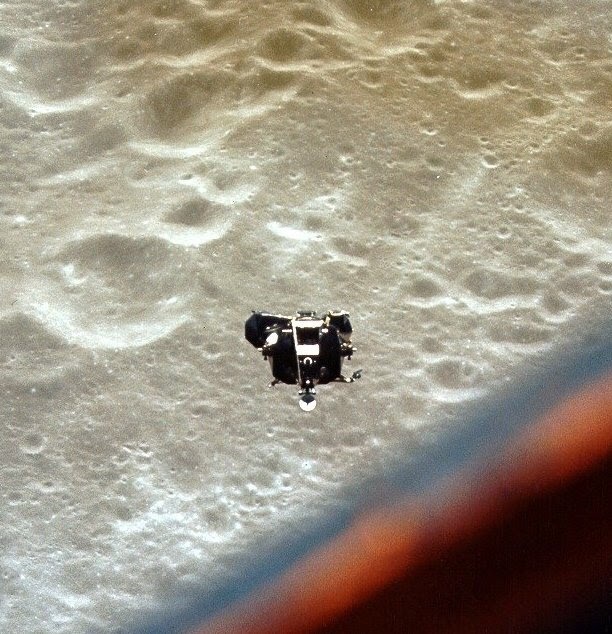 Their mission, to fly to the moon, and test out the manoeuvres required for a full moon landing. 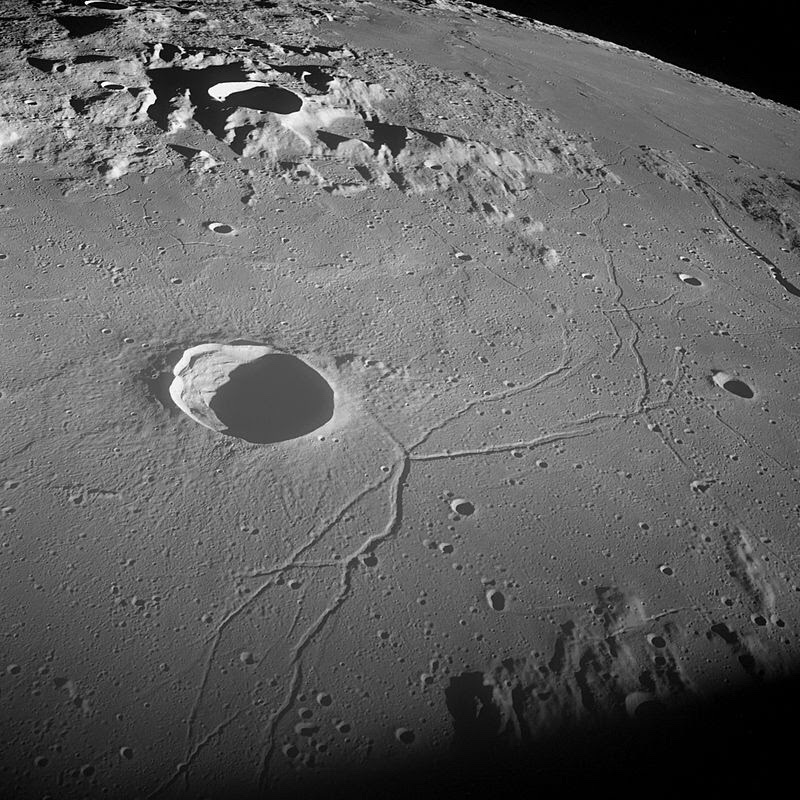 The LM (Snoopy), flew to within 15.6km of the lunar surface. 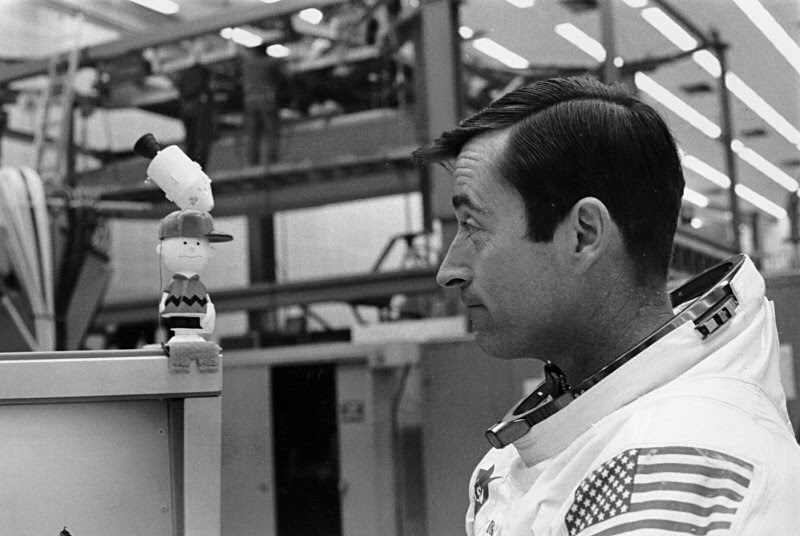 The Command module was named after the famous comic strip “Charlie brown”. 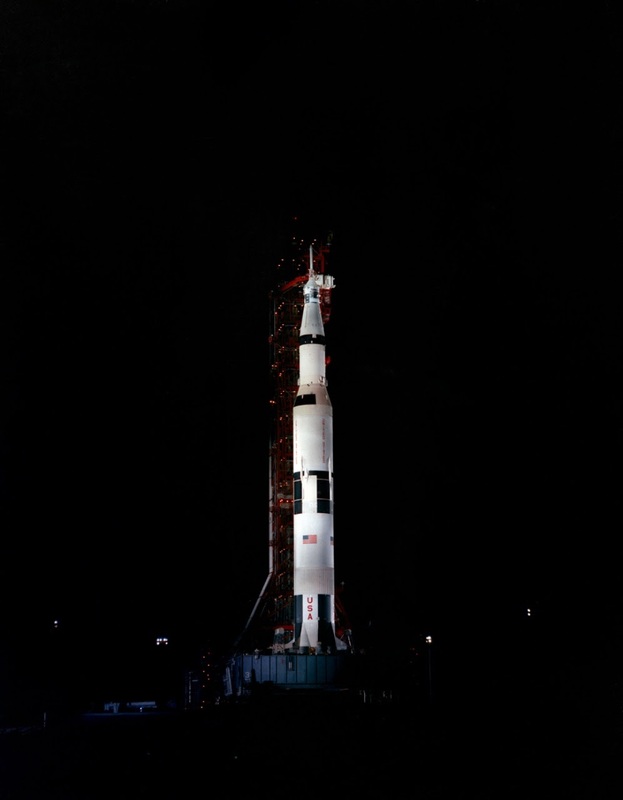 The mission lasted 8 days 3 minutes and 22 seconds. 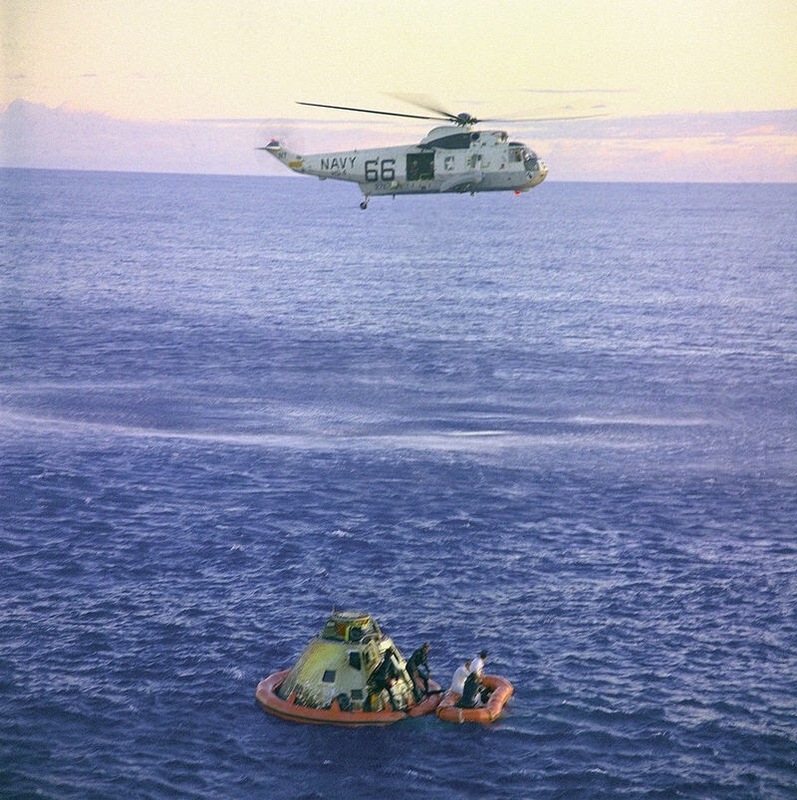 Splash down was on 26thMay 1969. 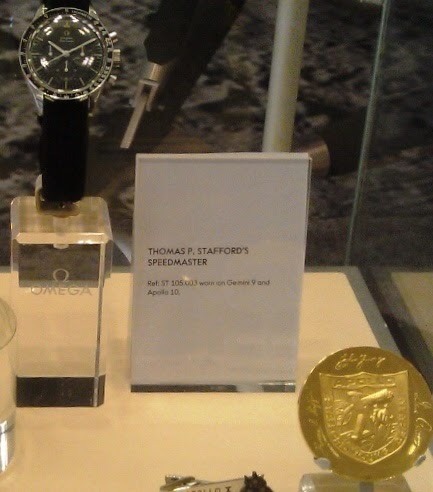 Commander Tom Stafford appears to have kept with his ref 105.003. S/N 27. 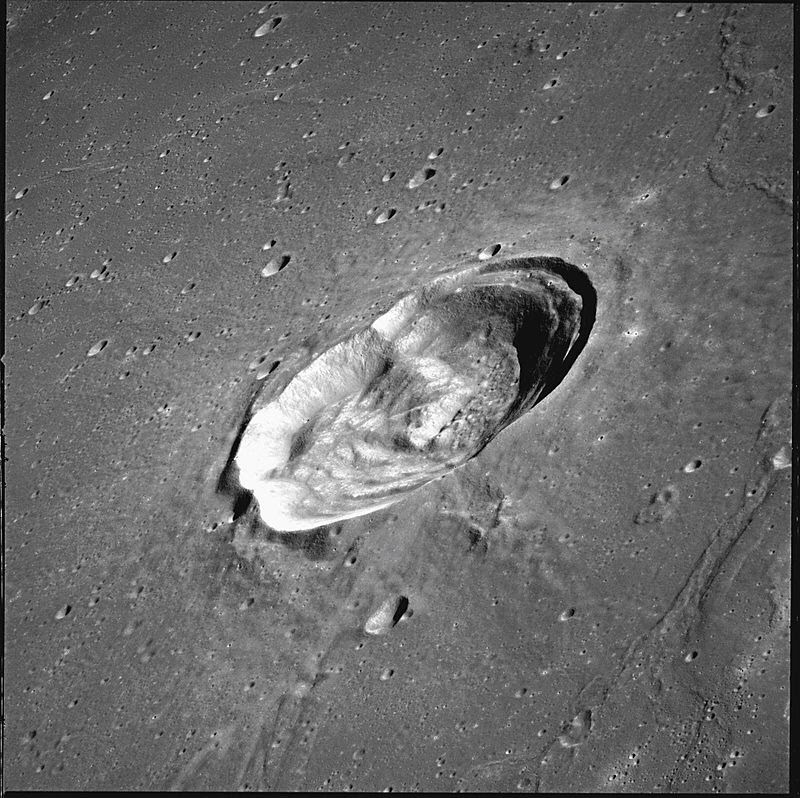 This was a straight lugs case (the only straight lugs on an Apollo mission?) 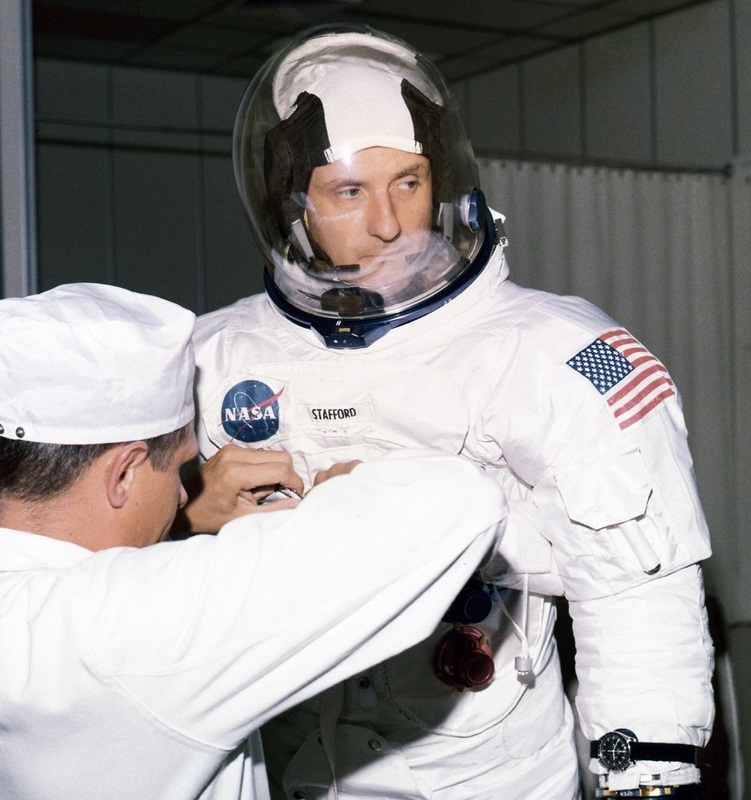 and has been displayed at the Omega museum, and is reportedly been on two missions with Stafford- Gemini 9 and Apollo 10. 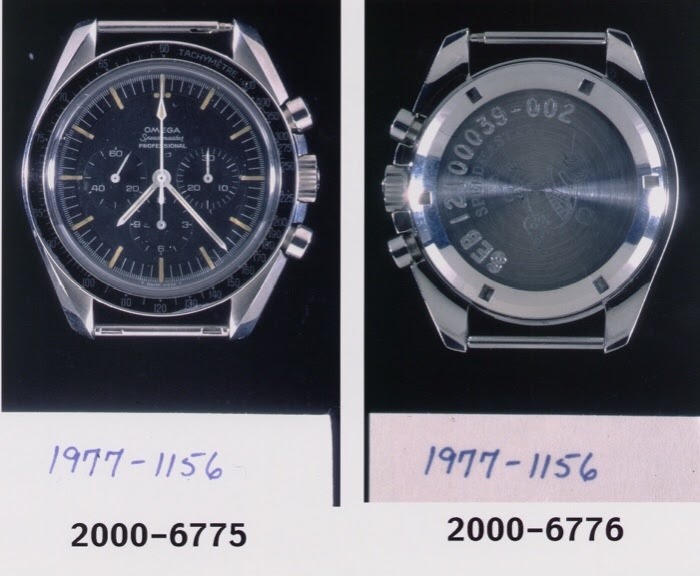 There is also evidence that Stafford wore an asymmetric case (105.012-CB?) during training. 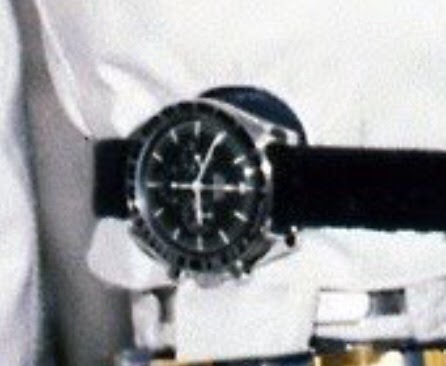 John Young, wore a ref 105.012-65 (verified- National Air and Space museum). 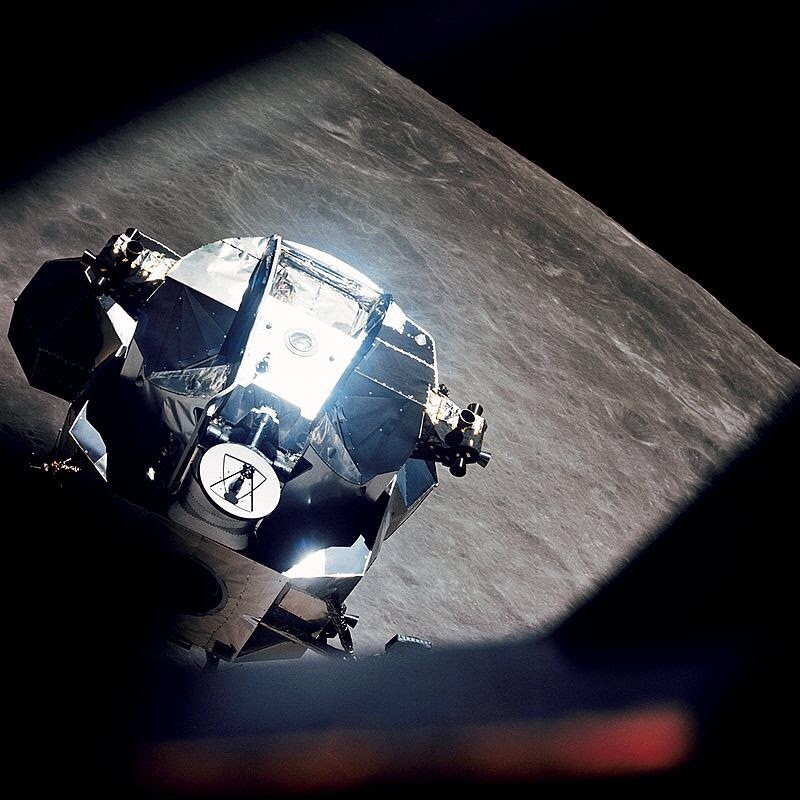 All picture credits gratefully to NASA and the Smithsonian Air and Space museuem. 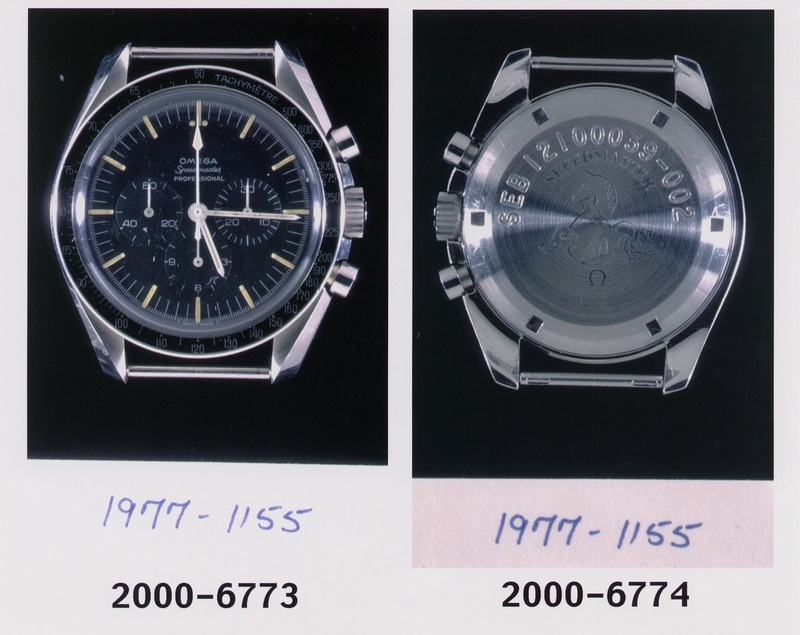 Superb post to end great year on Omega forum!